From a pack of four trail runners, our group continues to grow in number and the passion for trail running continues to persist that weekend is marked for trail running on new trails. 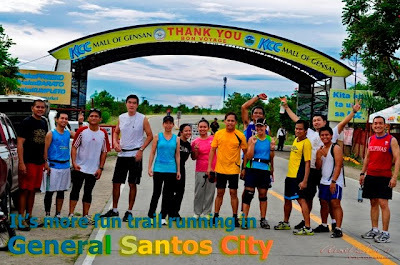 So, our latest conquest was on the trail from GenSan City Airport to Brgy San Jose, covering an 18km loop. Trail running sparks a different thrill as we get to commune with nature, meet locals, enjoy smog - free run, and meditate. And, with the wide green vegetation of Sarangani Province and General Santos City, trail running is always fun! So, join us and let's have fun running.